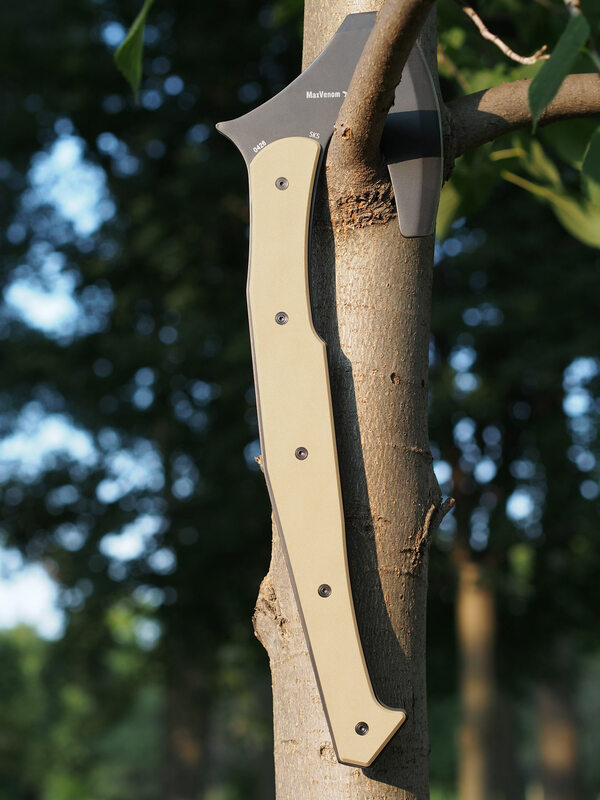 The Tomahook™ is the ONLY Modern combat Tomahawk or Battle Axe that does all of the following as well as it is ready to knock an adversary DEAD in their tracks! The Tomahook™ is a NEW Max Venom designed Battle Ready War Fighting Field Implement by Boker Plus. 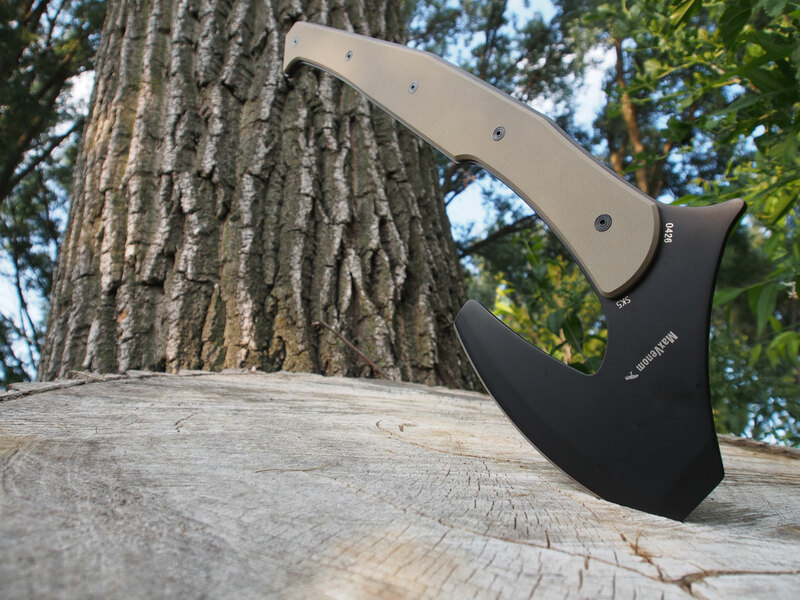 For many years the Fighting Tomahawk has retained a foothold in the Tactical community as a Fast Functional and BRUTAL means of dispatching an adversary in the condition of Mortal Combat. The Tomahook represents a truly “all things considered” approach to the modern Combat Tomahawk and Battle Axe! It is necessary that modern battle implements are able to traverse a full spectrum of field applications in order to justify the commitment of carrying it onto the battlefield. In this regards, many attempts to capture the functionality of the Tomahawk or Battle Axe fall short, in fact WAY SHORT. This short coming was brought to light by the designer’s bother, a US Army Veteran of three deployments to Afghanistan. A discussion in regards to these limitations would set into motion a vision quest that would shape and form the very concept that was to become the Tomahook. The brothers agreed that the modern Tomahawk or Battle Axe simply did not do enough things well, as most are primarily designed for one thing, killing. Furthermore the designer and his brother questioned if this one thing that most modern Tomahawks and Battle Axe are designed to do, would actually do it well. The conclusion was “no”. 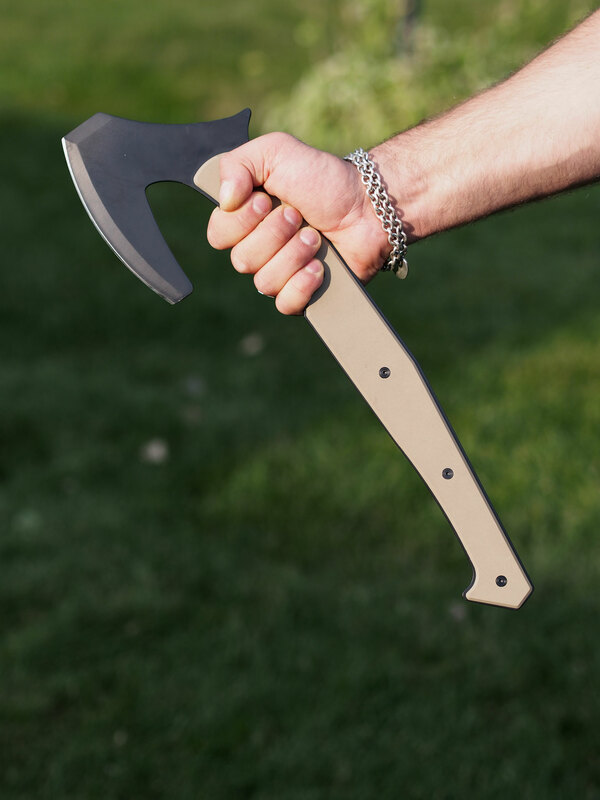 As most modern Tomahawks and Battle Axe are designed for the soul purpose of knocking the life out of a man in a single devastating blow, one might do just as well to carry an Estwing Framing Hammer. In fact, they might actually do better. 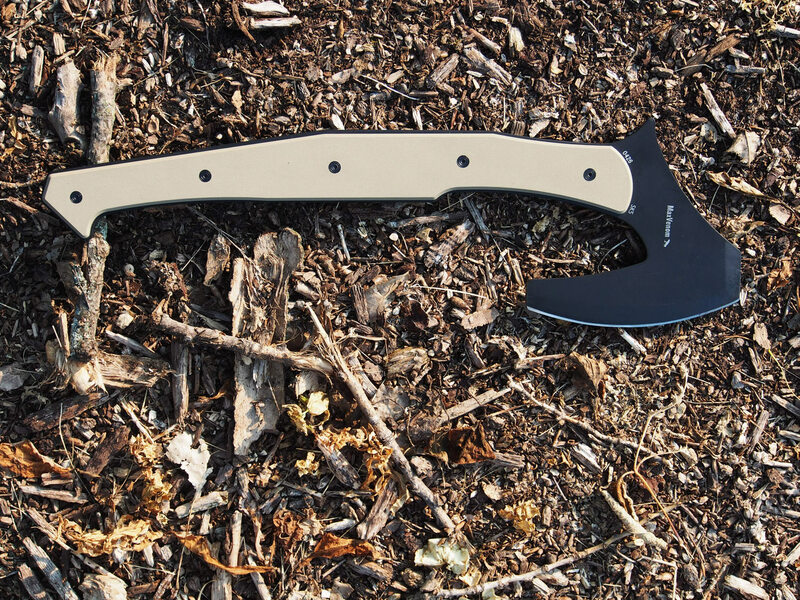 Imagine for yourself a “Tactical Tomahawk” that has found home the skull of an adversary. How quickly could it be drawn from the depth of this wound and wielded again? For that matter, what more can you do with most Tactical Tomahawks or Battle Axe beyond that? 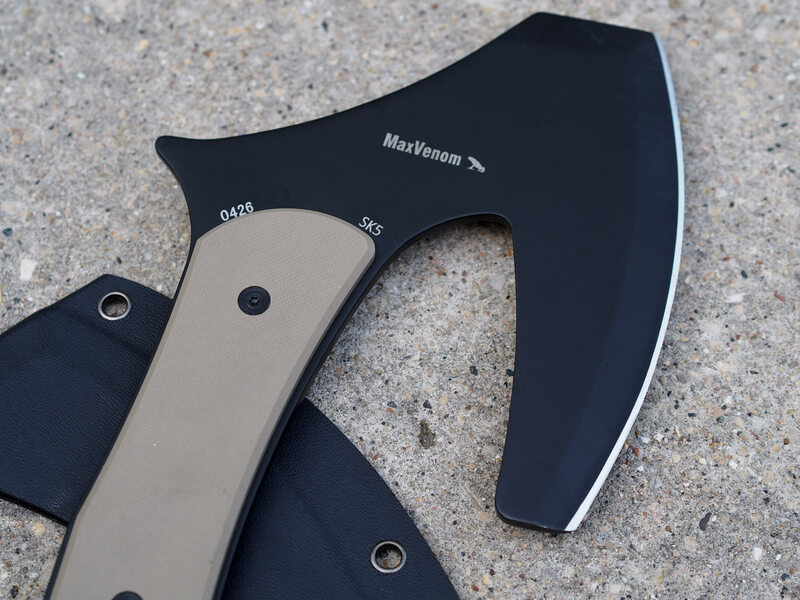 The Tomahook is designed to earn its keep on your load out as both a working Axe and a Battle ready implement. The Tomahook is in part Celtic, Native American and Viking inspired and draws upon the principals of Combat, Fieldcraft and Bushcraft. It is part tool and part weapon. YES, the Tomahook is designed to facilitate ALL of the above AND MORE. The Tomahook design concept offers tremendous versatility AND pure unadulterated Knock ’em Dead Brute Force. and utilize the Tomahook handle as a baton. Choke up your grip behind the primary edge to a precision grip for fine cutting chores and ease of sharpening. The designer dedicates the outcome of the Tomahook to his friend and Brother Arthur William “Will” Despins. Designed with Passion, made possible by Inspiration!